Hello Penn State Hillel Parents! We welcome you, your family, and your student to the Penn State Hillel Community! At Penn State Hillel, we aim to enrich the lives of Jewish students by creating a pluralistic, welcoming, and inclusive environment where students can grow intellectually, spiritually, and socially. As a member of one of the largest Jewish communities on any college campus, with upwards of 4,000 Jewish undergraduates and 1,000 Jewish graduate students, your student has many opportunities to find his or her niche! We do our best to fulfill the needs of all our students and we are also prepared to deal with any obstacles that he or she might experience while on campus. Should you ever have any questions or concerns, please do not hesitate to call our office at 814-863-3816 or contact our Executive Director, Aaron Kaufman, at adk12@psu.edu. You can also feel free to reach out to Stefanie Tapper at sht107@psu.edu, our Director of Development, with any questions or concerns. She will be your primary contact over the course of your student’s time at Penn State. We offer a number of opportunities to connect with students on campus and to help strengthen our community in and outside of State College. 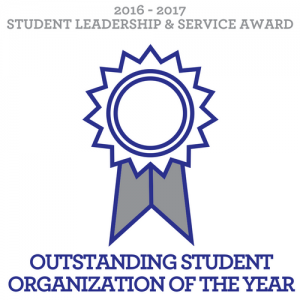 Please take a minute to visit explore our website to learn more and join our Facebook group: Penn State Hillel Parents. We also encourage you to join the Penn State Hillel Parent Circle as a way of staying connected to your student on campus, the Jewish community, and Penn State. Learn more here: Parent Circle. 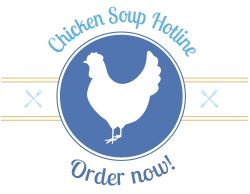 In addition to our website, Facebook page and the Parent Circle, please check out our Chicken Soup Hotline that delivers kosher matzah ball soup to sick students, at no cost! We look forward to seeing you on campus or in the community! And remember, our students are our number one priority, so please do not hesitate to reach out to us with questions or concerns.